The RLS Angels are out for blood, and only Suze can stop them -- since she's the only one who can see them. The four ghostly teenagers died in a terrible car accident, for which they blame Suze's classmate Michael... and they'll stop at nothing until he's joined them in the realm of the dead. I honestly will never get tired of this series. This is one of those series that I would love to see it never end, but alas it was written awhile ago and I know there is no hope for it to be longer than six novels. That is ok for now, though, cause this is only the third novel which means I still have three more novels till I have to bawl my eyes out (LMAO). I really loved that Suze finally got to open up to one more person about her gift. Yes Gina knew a little bit about it already, but she didn't know any details and I was glad that Suze got to open up to her finally and that she was accepting. I also love that a little more happened between Suze and Jesse. It is not much at all, because he played small appearances in this novel on account of Gina staying in Suze's bedroom, but you can tell their relationship is starting to happen and that hopefully we will see it fully blossom by the end =D I really hope there is a way for them to be together, because I don't want it to end in heartbreak. The last thing I really loved about this novel is Suze has finally realized that she loves her new family. She might not be able to stand her two of her new step brothers most of the time, but she has finally realized that she loves them, they love her, and she will do anything to protect them. I really loved this novel. I don't think there is a single book in this series that I will end up hating. Well, I might hate the last book just for that main reason. Its the last book. (haha). I really wish this series was never ending, because I cannot get enough. I love Suze's character and she continues to make me love her more and more, and Jesse is fantastic and I really hope something happens between them. 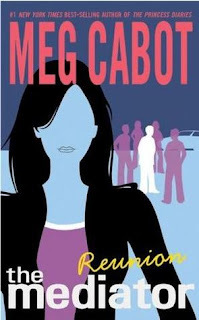 If you are a Meg Cabot fan and haven't read this series yet YOU NEED TO! And if you haven't tried Meg Cabot yet and love the Paranormal then this is a perfect series for you. I cannot wait to read the next three novels! Ooh nice! 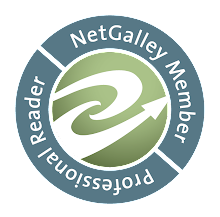 Just skimmed the review to see what you thought! I LOOOOOOOVED this series! I read it years ago, so all my covers are the mismatch bunch! Two hardcovers, all different styles, the first four being under Jenny Carroll! I met Meg last year when she came to my town and got to show them off to others! I like when I have the old retro covers! I do have the newer style on book 6 though, obviously! Although it was a hardcover when I bought it! Okay, sorry for the ramble! Nice review! I so <3 this series too! Im so excited that you are loving this series! It is one of my all time favorites. I just love Suz and Jesse. ooh..i haven't read this series, but your review has me going to check out book one. sweet review! Yay! You will love this series trust me!